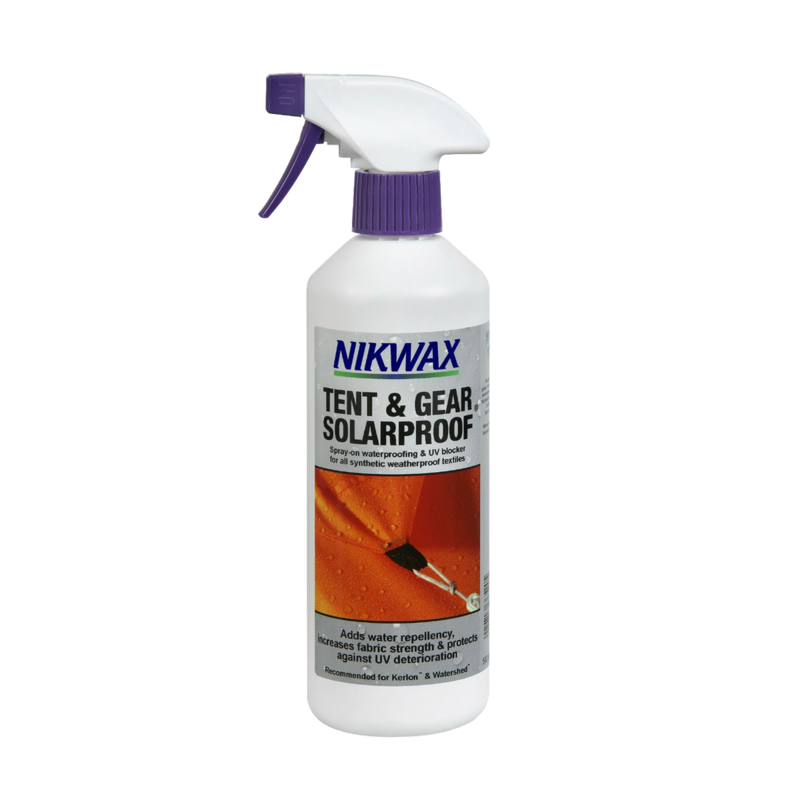 This easy-to-use SolarProof spray adds UV protection and waterproofing to all kinds of synthetic weatherproof fabrics. It's perfect for tents, backpacks, awnings and more. High-performance, low-impact solution adds durable water repellency while increasing fabric strength and protecting against UV deterioration. A single application can double the effective life of fabrics. Can be applied to wet or dry synthetic fabrics. Water-based and biodegradable formula contains no fluorocarbons or VOCs. Nikwax is a global leader in safe, high-performance waterproofing and cleaning solutions for clothing, footwear and equipment.